We have a rich tradition of celebrating great accomplishments at UIndy. We pride ourselves as being a community that recognizes and rewards hard work and commitment. We are a great institution because of our dedicated faculty, staff, and administrators. We celebrate each with their own awards, and I write today to ask for your nominations for our Staff Achievement Awards. UIndy’s Staff Achievement Awards Program provides well-deserved recognition for those staff members who work tirelessly, with passion and conviction, to make all of our academic and athletic achievements possible. This Program allows the University to recognize staff members who approach their roles as more than a job; they serve to enhance the University experience and create opportunity for us all. Winners will receive a $1,000 award, an additional paid day of leave, public recognition across campus and other honors. We have added the Inclusive Excellence Award this year. 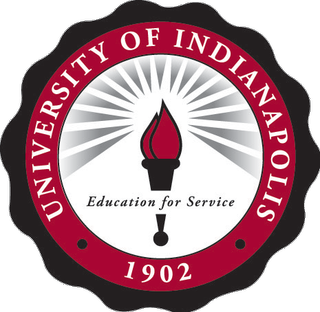 This Award will be given to UIndy staff who make noteworthy contributions that help advance inclusive excellence at the the University. These individuals have demonstrated recognizable efforts exceeding their job responsibilities that promote, support, and improve equity and inclusion at UIndy, and help to enrich experiences for our faculty, staff and students. You can learn more about each award and access the nomination form on the Staff Achievement Awards page, located at http://www.uindy.edu/staff-achievement-awards-program/index. The new nomination deadline for Staff Achievement Awards is March 23, 2018. As is custom, we plan to present the awards at the Faculty and Staff Institute in August. Thank you for contributing to the unity and collaborative culture of the entire University family.